Every week one of my online mentors, Evan Carmichael, broadcasts live to his #Instagram followers to answer any questions they have. Here’s a video of Evan’s conversation with one of his followers about why you need to find your why and work from that. Once you commit to finding your why, life and business will get better for you because you’ll be operating from your core value. So, with that in mind, I have created a modified transcript of the first half of the video below. In it, Evan shares his wisdom about how to find your why. NOTE: it’s worth watching the video right to the end for an excellent tip on how to show appreciation for the time someone spends with you. Evan: The foundation for me always starts with core values. It starts with your one word whether you want to use the one word exercise or something else. I think understanding your most important core-value really really helps. It just gives you your compass. Then I would look at purpose coming from your pain. A lot of people want to run away and forget the pain they went through. But it’s actually the greatest gift that you have. Instead of running away from it, instead of hiding from it, embrace it so it’s like: This is the struggle I went through and now I want to help other people who are going through that. Either you have come through it and you have answers to share, or you’re still going through it and your journey is the value that you’re giving to people. I think that’s the foundation. And then it’s about the creative talent, what you’re good at. Now, how you express it? So, if somebody’s a YouTuber, or a visual artist, or a musician. There’s lots of ways to articulate, through your creativity, the message that you have. But it starts with your core value, then it goes to your mission, the pain that you’re trying to solve, and then the artistic expression of that. Question: What if they’re aim is just to make money, make a profit, make money as quickly as possible? Does that interfere with their why or does that help it more? Evan: It doesn’t interfere with their why because they don’t have a why. If you don’t find your why in entrepreneurship, you’re done. Money is a funny thing. Money is just an exchange of value. And money is super-important. If anybody says money is not important, they just haven’t had success in any kind of business endeavour. Money is just not number one. There is something above money, that’s the why, that’s the passion. If you’re in it just for the money, you’ll quit, you’ll give up. It’s just too hard. 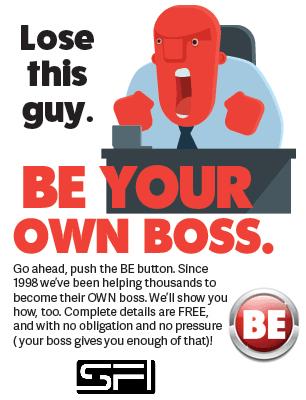 You might be able to make a quick short term profit by taking advantage of an opportunity that comes to you. But you’re not going to win big in your industry if you don’t absolutely love it. In the beginning of anything you can win just by showing up, just by being there. But if you want to win long term you have to actually be good. And to get good you have to have the passion for it. I think people who say they’re in it for the money, they’re just confused. They just don’t have a strong “why” yet. They don’t know what it is. So don’t bring those people into your program unless you help them find their why. I see that as your responsibility to help them to find their purpose. If you have the ability then you have the responsibility. If you can, then you must. You have to switch their mindset for them, or else they’re going to lose. 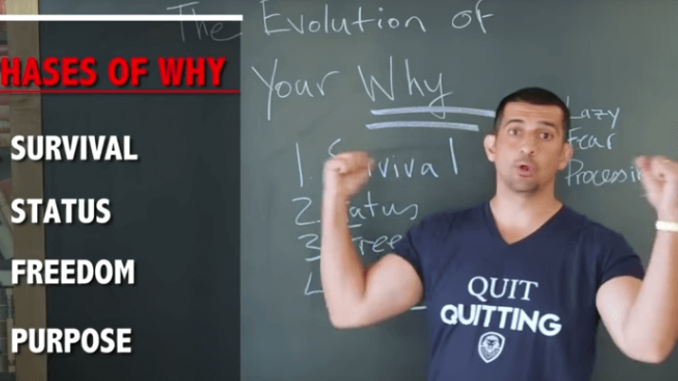 So now we know why it’s so important to find your why, here’s another of Evan’s videos that shows you HOW to find your why and the four stages your “why” goes through. The stage we are aiming for is stage four. That’s when, after finding your why, life gets better as it aligns with your purpose.